HANDPICKED SPECIAL VINTAGE AND REWORKED PIECES! 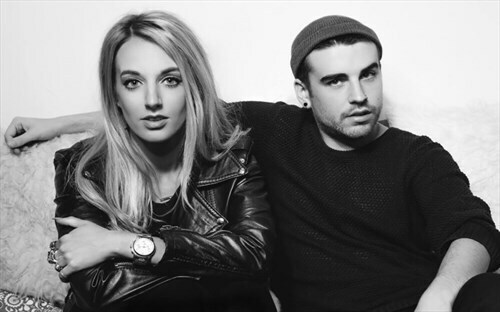 The story of NINE CROWS began in mid 2010 when founders Emma Fraser and Dean McDaid first met on Facebook. Both had vintage market stalls of their own and met up for a drink in Dublin City Centre after discussing their vintage stalls online. In their own words “We met up one Sunday, and after a few drinks – we decided to open a shop”. After weeks of scouring the city for a shop location, we opened the doors to “9 Crow Street” in December of 2010. The store was located in the heart of the city on Crow Street, Temple Bar – which is where the business name came from. 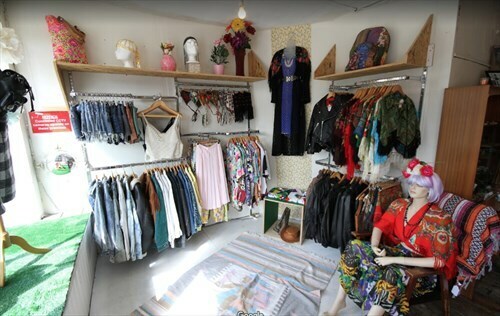 The store opened its doors to the public, and was full to the brim with beautiful hand picked vintage clothing. It did however, lack a till or a fitting room! The public adored the freshness that then called “9 Crow Street” brought to Dublin, which was “unrestricted by fixtures or fittings”. 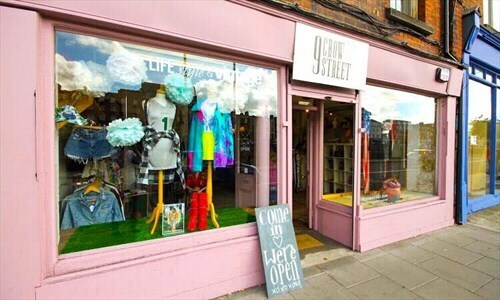 9 Crow Streets lease on Crow St. ran up in mid 2012 and we moved to selling solely online. After a year and a half of selling online and also conducting styling appointments in their office, the duo set their eyes on opening a brick and mortar store once again. 9 Crow Street opened its doors for the second time, along the quays of Dublin on the Northside of the City Centre. It was just after the move to Ormond Quay when the Nine Crows team began to expand. In June 2014 they took on their first ever member of staff Kaitlyn, who is today the manager and head of creative of the company. This was shortly followed by the arrival of Roger, who today is the head of buying and menswear for Nine Crows and also our brother brand; White Noise. Since then, the Nine Crows team has employed many amazing staff members who always strive to keep the company fresh, relatable, inclusive and accessible. 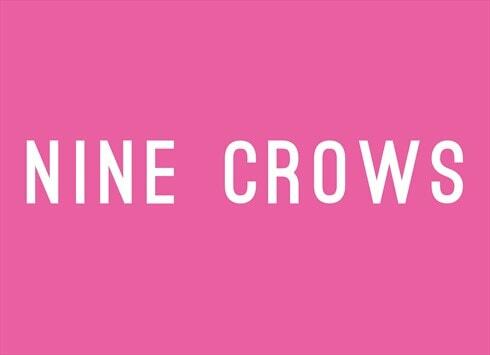 Today, Nine Crows consists of two owners/founders and ten brilliant staff members across Ireland and the UK. To find out more about our team, you can visit our “Meet The Team” section of our website. We had two amazing years in our gorgeous Ormond Quay store. We met so many amazing people and collaborated with some truly brilliant individuals and companies. We also conducted so many gorgeous shoots for our website (which we ran from the office above the store). Some of our favourite shots from that period can be seen below. During this time, we also officially changed our name from 9 Crow Street, to Nine Crows. The company continued to grow, and the team knew we needed to expand our store size and workspace. So, in the Summer of 2016 we made the move to our current home on Temple Lane South, in the heart of the city. We love our home in Temple Bar and we cannot thank our gorgeous customers enough for their continued support. You are the guys who keep our dream alive! Our head office space moved with the store, and our stunning office and photography studio was situated above the Temple Bar store. Our founders also founded NotAnother Agency in 2016, so we shared our office space with the brilliant girls on the NotAnother Agency team. 2016 was another really busy year for us as we saw the opening of Nine Crows Galway that Summer. The Galway community welcomed us with open arms and we had an absolute blast trading there for nearly two years! Special shout out is due to the insanely talented Amy and Sarah who are absolute superstars and ran the shop for us in Galway. The demand for vintage in Ireland continued to grow and so did our wonderful community. We had an amazing summer in 2016, and knew by Summer 2017 we would need an even bigger space to grow our business online and to feed the demand for amazing, hand picked vintage pieces not only in Ireland – but across the globe. In August of 2017, we received the keys for our very own warehouse! This was a huge deal for us as we then knew that we would have the space to grow the company not only commercially, but creatively as well. We now had the space for the photography studio that we had always dreamed of as well as storage and sorting space to boot. This is when our website shopninecrows.com, really began to take off. In late 2017 we also saw the birth of our menswear brand White Noise, which has gone from strength to strength since its birth. 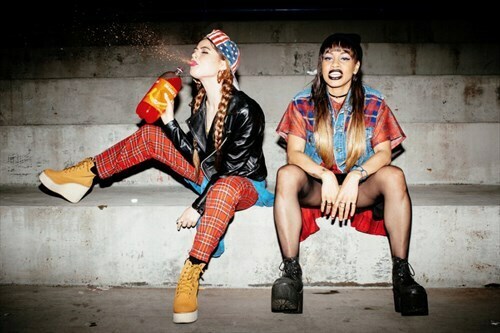 You can shop White Noise online on Asos Marketplace, and in store at Nine Crows Temple Bar. This brings us up to 2018, and as they say “one door closes and another one opens”. In 2018 we sadly closed the doors to our beloved Galway store but shortly after this we were given the opportunity of a life time. 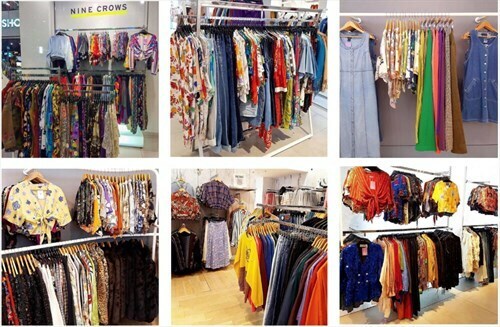 We were approached by none other than the retail giant TOPSHOP to begin selling in their stores as a concession! This was a dream come true for us and we are so thankful to the team at Topshop for believing in us and making another dream of ours come true. 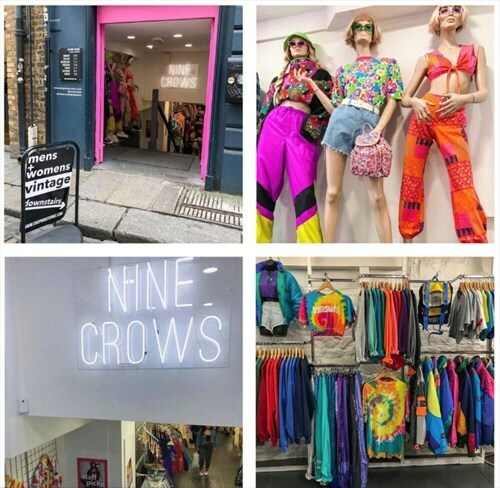 In September 2018 we launched the first o our concessions for NINE CROWS X TOPSHOP in Topshop by Stephens Green. This was followed by our launch in Topshop Jervis in November 2018 and in March 2019 we launched in Topshop Oxford Circus! Now, as we approach our 10 year anniversary, we have never been more excited to see what the future holds for the Nine Crows team! We aim to put our best foot forward in the future, and always keeping our customer in mind. 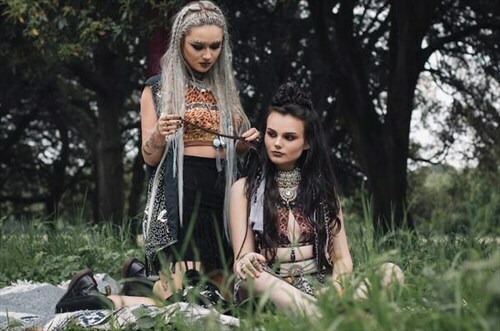 We hope to stay loyal to our creative selves, keep our wonderful community growing and keep bringing freshness to the fashion scene in Ireland and beyond. Stay tuned for lots of exciting things to come from Nine Crows in 2019 and for many years to come!